NASA Administrator Jim Bridenstine announced Mark Geyer as the next director of the NASA’s Johnson Space Center in Houston. NASA Administrator Jim Bridenstine announced Monday the selection of Mark Geyer as the next director of the agency’s Johnson Space Center in Houston. He’ll assume the director’s position on May 25, when current Center Director and former astronaut Ellen Ochoa retires after 30 years at the agency. Geyer currently is serving as the acting deputy associate administrator for Technical for the Human Explorations and Operations Mission Directorate at NASA Headquarters in Washington. 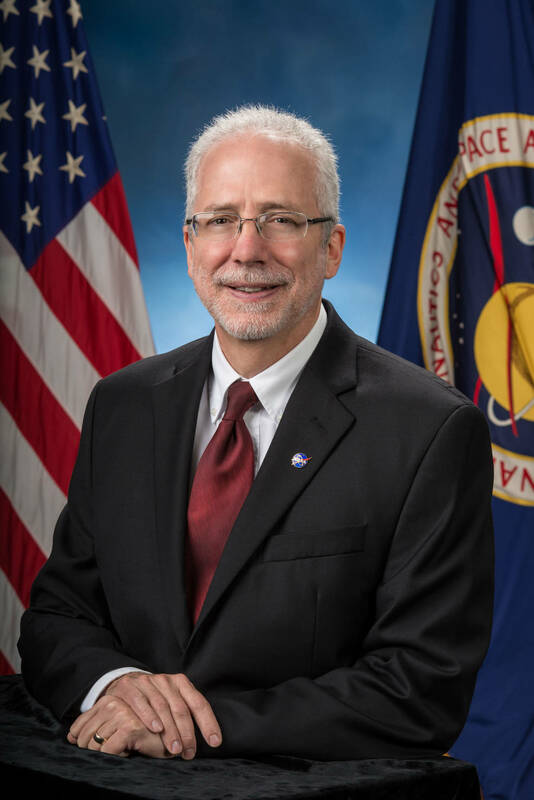 In this position, which he assumed Oct. 1, 2017, he’s responsible for assisting the associate administrator in providing strategic direction for all aspects of NASA’s human spaceflight exploration mission. Before that, Geyer served as deputy center director at Johnson until September 2017. Born in Indianapolis, Geyer earned his Bachelor of Science degree in Aeronautics Engineering as well as his Master of Science degree in Aeronautics from Purdue University in Indiana. Geyer is the recipient of the NASA Distinguished Service Medal, Meritorious Executive Rank Award and the Distinguished Executive Rank Award.